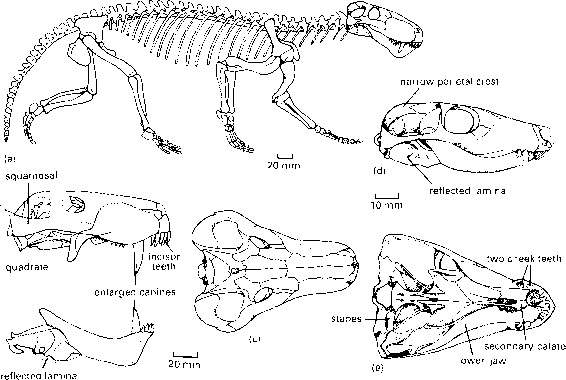 Research on Triassic vertebrates, including aspects of faunal change and the origin of the dinosaurs, is presented in volumes of collected papers, such as Padian (1986) and Fraser and Sues (1994). Tetrapods of the Russian Permo-Triassic are summarized in Benton et al. (2000b). Sereno (1991) and Benton (1999a) present comprehensive cladistic overviews of archosaur phylogeny, and Sereno (1999) gives a broad picture of dinosaur phylogeny. Useful web pages include http://rainbow.ldeo. columbia.edu/courses/v1001/9.html on the Triassic and its fossil tetrapods, http://www.museums.org.za/ sam/resource/palaeo/cluver/ on the Permo-Triassic in the Karoo, South Africa and http://tolweb.org/tree? group=Diapsida&contgroup=Amniota on diapsid phylogeny. You can see a detailed three-dimensional dissection of the skull of the 'rauisuchian' Saurosuchus at http://digimorph.org/specimens/Saurosuchus_ galilei/. 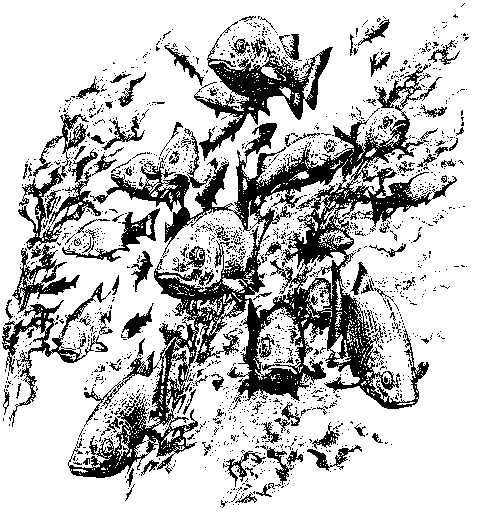 1 How did modern fish groups evolve after the Devonian? 2 What were sharks and their relatives like before the modern groups (neoselachians) appeared? 3 Why is it so hard to identify the oldest neoselachians? 4 Did sharks eat dinosaurs? 5 What were the early bony fishes like? 6 Where do the modern 'living fossil' fishes, such as bichirs, sturgeons, paddlefishes, gars and bowfins, fit into the phylogeny of fossil forms? 7 Where did the teleosts originate from? 8 Why are teleosts so successful? Is it their lightness, speed, or their jaws?